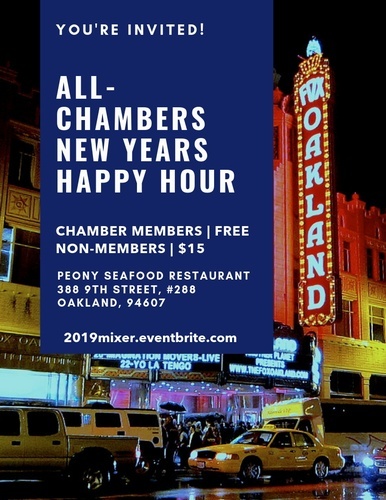 It's January and time for 2019 All Chambers New Year's Mixer! Join us at Peony's Restaurant as we all come together to celebrate the start of a new year. Co-hosted by the Oakland African American Chamber of Commerce, Hispanic Chamber of Commerce Alameda County, The Oakland Vietnamese Chamber of Commerce, Oakland Chinatown Chamber of Commerce and Oakland Metropolitan Chamber of Commerce. Please RSVP! See you there!